Dr. Stephen Zunes is a Professor of Politics and International Studies at the University of San Francisco, where he chairs the program in Middle Eastern Studies. A native of North Carolina, Professor Zunes received his PhD. from Cornell University, his M.A. from Temple University and his B.A. from Oberlin College. 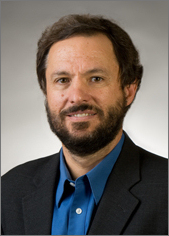 He has previously served on the faculty of Ithaca College, the University of Puget Sound, and Whitman College. He serves as a senior policy analyst for the Foreign Policy in Focus project of the Institute for Policy Studies, an associate editor of Peace Review, and chair of the academic advisory committee for the International Center on Nonviolent Conflict.